Innovative and Contemporary Asian Menu. 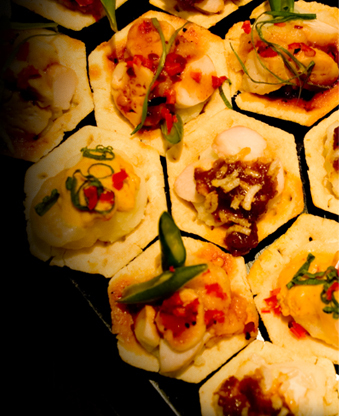 South-east Asian inspired, hand-crafted Asian delicacies using fresh Australian produce. Custom-design menu for any occasion, including weddings, corporate functions, cocktail parties and family gatherings. Part of the awarded Chatters Café and Restaurant group with vast experience in managing functions and events. An individual event co-ordinator will assist you every step of the way, ensuring an unforgettable and truly unique event. Please visit our website (www.holybasilasiancatering.com.au) to find out more. Give us a ring on 9250-5885 or 0421 318 673, e-mail on enquiries@holybasilasiancatering.com.au to find out more!